Leliepvre, Eugene. Very Good. 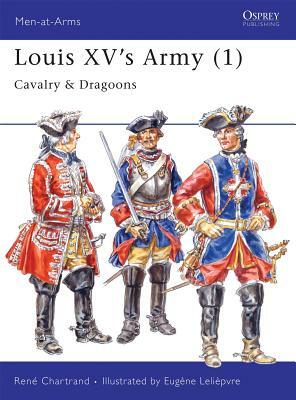 Louis XV's Army (1): Cavalry & Dragoons: Heavy Cavalry and Dragoons Vol 1 (Men-at-Arms) by Chartrand, René, 1996-07-15. Trade paperback (US). Glued binding. 50 p. Men-At-Arms (Osprey), 296. Volume 1. This is an ex-library book and may have the usual library/used-book markings inside. This book has soft covers. In good all round condition. Leliepvre, Eugene. New. Trade paperback (US). Glued binding. 50 p. Men-At-Arms (Osprey), 296. Very Good. 1855326027 signs of little wear on the cover. Very Good. 1855326027 Little shelf wear.